This article is about the quest. For other uses, see Fen. 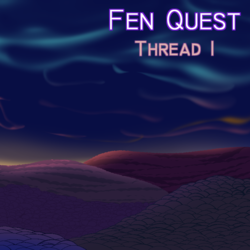 A reboot of the original Fen Quest, also known as the CheeQuest Intermission 3. This story starts with a clean slate, divorced from the Cheeverse, because both iterations of the latter had constraints on Fen's story. Fen Quest Statistics are tracked on the wiki. A forest dwelling barbarian who led an uninspired life of quiet dissatisfaction until the day he fell in love, and found a reason to strive for greatness. Fen's older brother, from the same litter as Kiki. A skilled fighter with a either a surprising lack of personal ambition, or who knows exactly what he wants from life and has already found it. Despite his own somewhat laid back attitude (and his own failings as a teacher), he's been pushing his younger brother to improve. The Mithril Noble of the Goldyard, and one of the most powerful individuals in the northern empire. Lord Shup has created an atypical system of treating workers and slaves well, while simultaneously making them dependent on him and his industry to survive. Lord Shup's fiancée. Earnest, kind and naive. A friendly, enthusiastic and talkative merchant with a soft spot for barbarians, who seems thrilled to pass time with someone who legitimately isn't bothered by her appearance. The world of Fen Quest (or at least the continent the kobolds live on) is divided into regions. Transitions between regions are easily distinguished by a sudden change in terrain, climate, native biology, and literal seams in the sky. Not to mention that any kobold is made profoundly uncomfortable by close proximity to region boundaries. Each region is (or was) home to a different greater beast. When a greater beast is killed, a brand new race of kobolds, native to that region, is born. The first generation of this new race possess Tolkien style immortality- they will never age past their prime, are extremely resistant to mortal illnesses, and they recover better from injury. Their children, and any subsequent generations, are mortal. Each region exerts a different physical influence on the young kobolds within its borders, altering their appearance and physical development. The degree and severity of this influence vary geographically, and with the time a child spends in a given region. A child who moves between regions can accumulate multiple physical alterations. Further regional transformations cease after reaching adulthood. 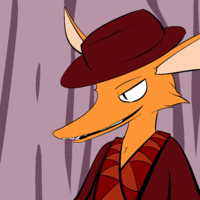 It is possible for kobolds of different races to breed, but odds favor children who resemble one parent or the other rather than some kind of mixed breed. 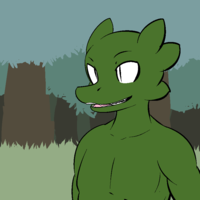 Should such a mixed breed kobold reproduce with a kobold of one of the initial races, their children will almost invariably resemble the second parent. Magic, or at least the variant used and understood by kobolds, is tied heavily to the land, and as such itself functions slightly differently in different regions. A given spell may work better, or more easily, in a specific region. 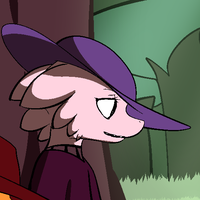 Kobold magic does not work at all away from their land (out to sea, on islands, or on other continents), unless powered by magic battery carried with them. Non-living matter from one region will suffer accelerated decay if moved to another region. Hardier materials are more resistant, and magic can be used to offset this effect. (In fact, simply keeping important imported goods from falling apart is a major source of employment for mages). 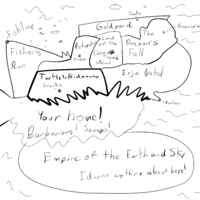 The homeland of the faction that became the northern empire. This tundra contained the highest mix of natural resources, lending its former armies the most balanced arsenal of tools. It's also said that the Greater Beast that created this land was the strongest of all. The draconic kobolds were the first of their kin to walk the earth, and the only whose immortals still do. The Dragon Knights long ago slew the last of their peers among the other northern races. (With the possible exception that there may be oceanic immortals somewhere who escaped by hiding beneath the waves). Physical Influence: Discoloration. This affects oceanic kobolds the least. A large swamp with various rivers. The capital of the northern empire lies on a high ground mesa near the coast. Physical Influence: Shine (brighter fur, or more reflective scales). A dry, crag heavy land named after the abundance of gold. Many other valuable gems and minerals are found here as well. This land has the highest discrepancy between the poor and the rich. Lord Shup has created a system of treating the workers and slaves well, while making them dependent on him and his industry to survive. Physical Influence: Rounded pupils and albinism. A mass of canyon, pits and caverns spotted by oil pits and cesspools. Due to the ease of hiding here, this is the home of many of the northern empire's internal enemy factions, as well as the target of exploration for many bounty hunters and adventurers. Physical Influence: Stockiness. At extremes, kobolds may appear dwarflike. A mountainous range of highly volatile weather. Due to the harsh environment, this place is commonly used for military training and exercises. The stone here is of the highest quality, and so most quarries are located here. A detailed map of roads and settlements in a portion of Turtle's Hideaway. Physical Influence: Fluff, often giving kobolds the healthiest looking appearance. (For kobolds with no natural fur to enhance, this leads to thicker and slightly softer scales). 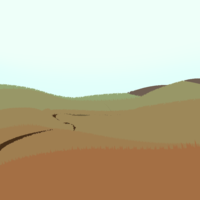 One of the few gentle lands, comprised of rolling, grassy hills. This is the breadbasket of the northern empire. Known to try to gain independence every once in awhile. Native Kobolds: Presumed extinct; no sighting of a Forest Kobold has been reported in decades. Physical Influence: Unpredictable mutations (currently. The former influence, before the forest kobolds were killed and the land changed, is unknown). A land covered in fungus and moss. 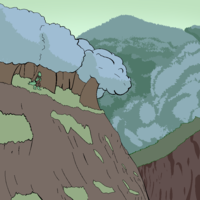 This used to be a forest, but as the kobolds here were hunted to the point of extinction, the forest grew shorter and shorter, appearing more and more sickly. Kobolds who enter the tar pits of Erja Nokol are subjected to extreme mutations, above and beyond the physical influence of the region. "Lucky" kobolds, who are not killed outright by the exposure, or left crippled to the point where they cannot care for themselves, are dramatically transformed into abominations- powerful creatures that barely resemble the kobolds they once were. Greater Beast: Unknown, presumed alive. Native Kobolds: Unknown. 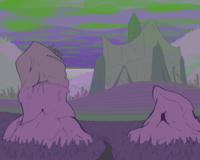 Since this land is friendly towards the presence of kobolds, it's presumed that a Greater Beast still lives inside, and so no kobolds exist yet. Physical Influence: Yellow Eyes. Fen and his tribe does not know why they don't take to that change, and their tribe has gained minor attention as a curiosity as being the only white eyed barbarians. This place is often referred to simply as barbarian territory. As the draconic kobolds traveled further and further south, they eventually grew disconnected with the northern empire. 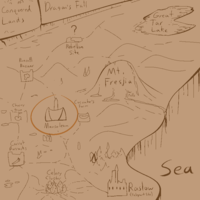 Many simply disbanded and lived within the forest, leading to the area between the northern and southern empire being occupied by draconic kobolds. The southern empire contains another whole set of regions and kobold races that we currently know little to nothing about. Land not touched by the power of the greater beasts. 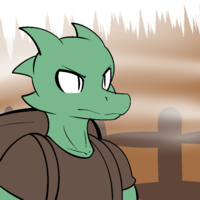 Any kobold in a deadland experiences the same unpleasant sensation felt close to a boundary. Deadlands can be tolerated for short spans, but long term exposure is likely to lead to madness if not death. This page was last edited on 9 November 2018, at 11:09.